Kissing Crane - 1 Blade Barlow. Model #KC5178. Serial # 189/300. 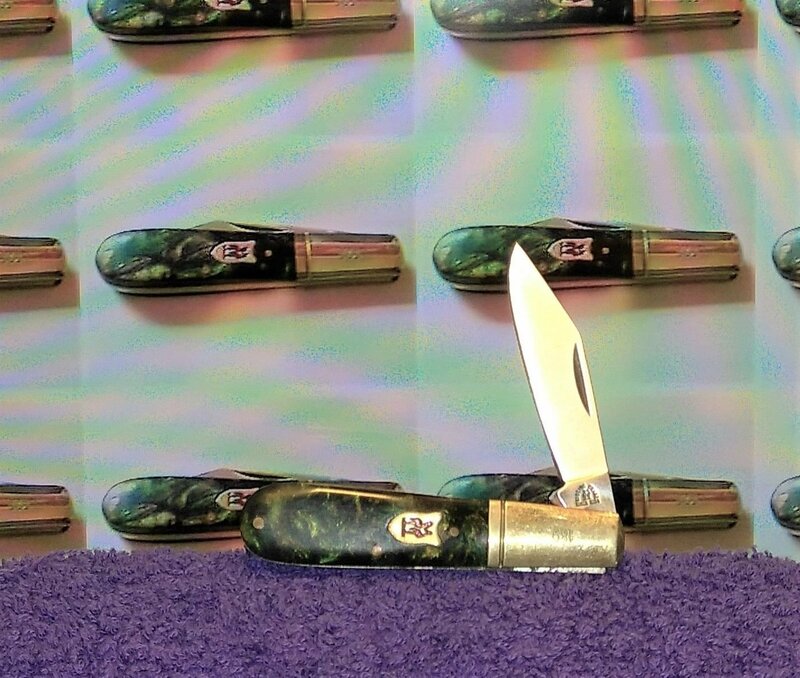 Mountain Spring series with green and gold celluloid handle scales. Brass pins and nickel silver bolsters and Kissing Crane shield inlay.